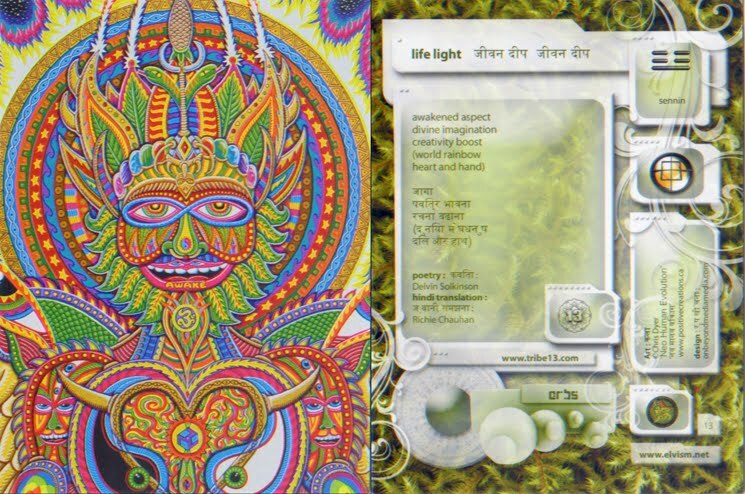 A week ago I was on the big island of Hawaii, for Alchemeyez Visionary Art Congress. Happening in the grand Ballroom of the Hilton Hotel, I gave a one hour slideshow speech, that was definitely not long enough, but still enjoyed by the public. It was about my artistic journey, and done in a freestyle stand up comedy style as to entertain while teaching. A BIG THANX to David Hedriana for filming this and to Ben Jackson for editing into one smooth piece! Enjoy. 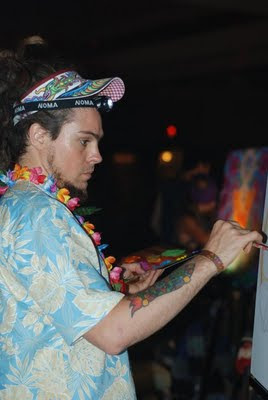 This last week I was back on the Big Island of Hawaii with 30 of the top Visionary artists for Alchemeyez Visionary Art Congress. This time it was at the Hilton, which was mega fancy of a setting, and shocking at the beginning, but as I got used to it I mostly enjoyed it and had a good time with the fans, and my fellow co-creators. The art was great as usual, and most of us did live painting during the endless epic dj parties. I also did a one hour slideshow presentation about my artistic journey, which ended up being more like stand up comedy. Everybody laughed tons and left there energized and inspired, or so they told me. PC Movie is ready!! Order a DVD! Just received my first box of Positive Creations Documentaries! 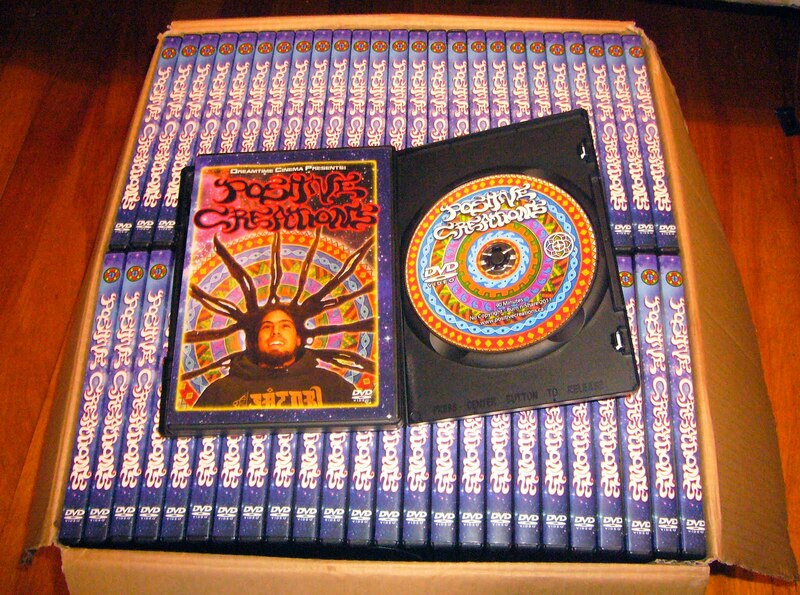 These Pre-release DVDs are meant for Press reviews, pre-orderers, distributer samples and to spread at Alchemeyez in Hawaii next week (first official screening). It too 3 years for Dreamtime Cinema in Arkansas to co-produce this piece with me. PLEASE order a copy at http://www.positivecreationsmovie.com/buy/ . If you ever wanted to support my art in any way, this see your chance, help me spread the stoke! Bustin Boards, a longboarding company from Brooklin New York, just released a graphic I made for them recently. 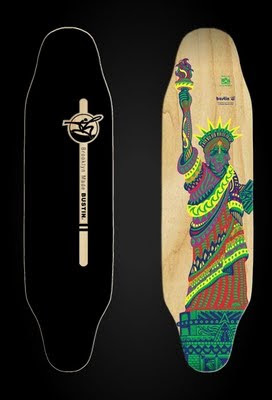 If you would like to get one, go to http://www.bustinboards.com/v/build_longboard_spliff_statue.asp . 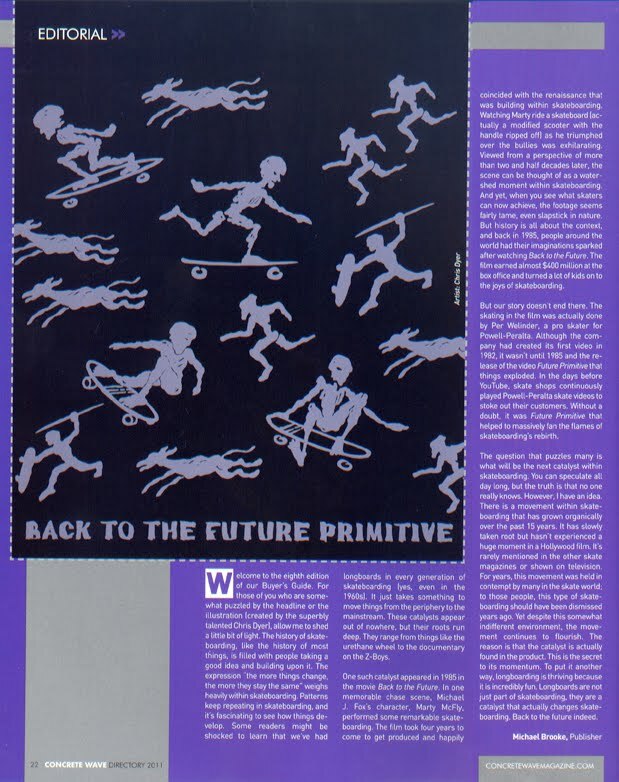 The new edition of Concrete Wave, the buyers guide, has an illustration I did for their Editorial page. 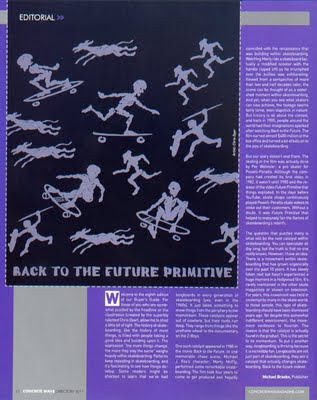 They asked me to do a piece in the classic style of Powell Peralta's "Future primitive" graphics, but with a longboarding twist. Hope you enjoy it as much as Michael Brooke, the editor, did.